This is Forest View’s 20th year, and all year we will celebrate by collecting and sharing Forest View stories, pictures, and words of wisdom. On Wednesday, November 6th, we’ll officially kickoff our 20th year during Science Share/Book Fair night. Look for special guests, alumni, a story table, and join our Forest View chorus in singing Happy Birthday! 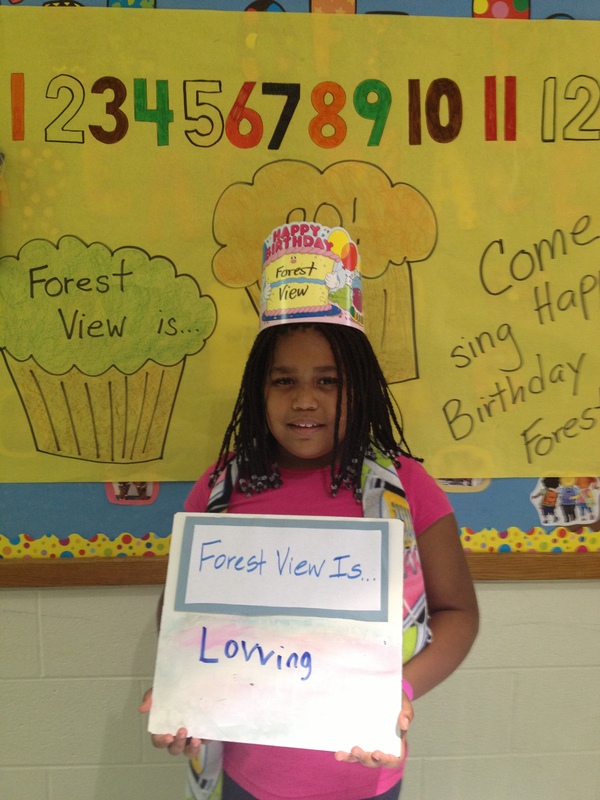 Here’s one of our Forest View students sharing what she loves best about Forest View at the birthday booth at the Fall Festival. Forest View Is . . .. Loving.